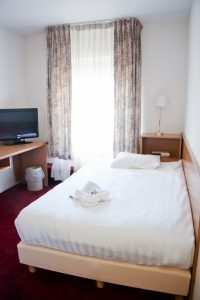 A comfortable single room in the center of Etten-Leur. The room has a television, telephone, radio, desk and a large bed of 120 cm wide. Of course you have your own bathroom with a shower and toiletries.